I love Trader Joe's! Recently, I discovered their face wash with tea tree oil. Tea tree oil is amazing. It an essential oil and acts like a natural antiseptic. Some claim it is almost as good as benzoyl peroxide, which is awesome for acne-prone and sensitive skin people like me. I was eager to switch from my sensitive Cetaphil because I have been attempting to limit my paraben exposure, and so I began using it for my daily facial cleansings -- twice a day. The tea tree oil wash smells great - mainly from the tea tree oil, which is a camphoraceous smell. However, using it twice a day began to dry out my skin. So, I went back to TJ's to try out their other face wash. 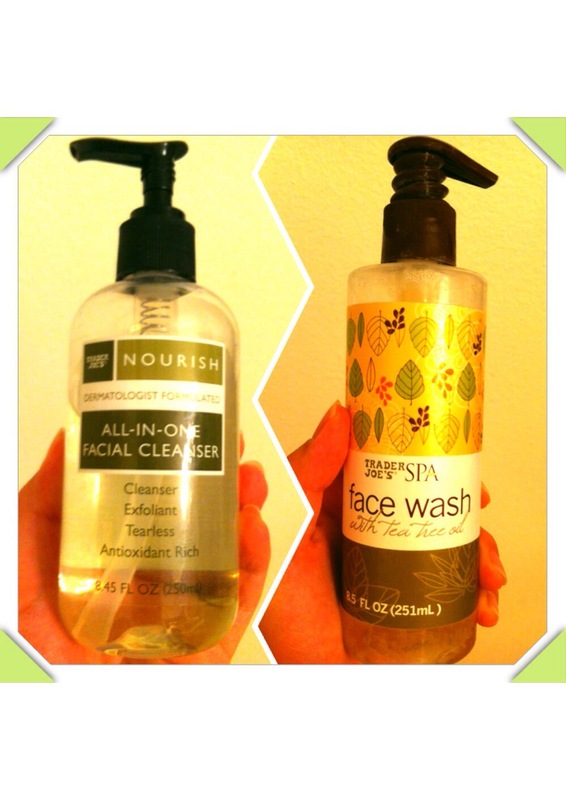 The 'Nourish' face wash is an awesome complement to the tea tree oil wash. It's light, fragrance-free, and doesn't leave your skin feeling tight and stripped. It's perfect for the morning facial cleansing! I would definitely recommend both the washes. I like to use the tea tree oil wash at night and the 'Nourish' during the day. They are both only $5.99! Available at Trader Joe's. Have you tried these washes? What do you think? I would love to here your thoughts!